True Grit meets Yentl in Larison’s evocative debut, Whiskey When We're Dry. In the post-Civil War West, 17-year-old Jessilyn Harney’s father dies, leaving their financially strapped homestead in her hands. She decides that the only way of saving it is to track down her errant older brother, Noah—who left several years back and has since become a notorious outlaw—and convince him to return home. Since it’s dangerous to be a woman traveling alone, she chooses to masquerade as a boy. Larison discusses the history of the western, and books that represent its evolution. Western aficionados will no doubt be outraged by the omission of some seminal texts and influential authors, but this list is for the modern reader new to the form, someone who might have binged on HBO’s Westworld but probably skipped Netflix’s Godless. The book that gave birth to the genre. Like so many later Westerns, Cooper’s story is a sentimental yarn about a frontier already lost—that of upstate New York in the mid 18th century. From its first pages, Mohicans sweeps readers into a chase narrative in which woods-wise men come to the rescue of damsels in distress. A love story ensues that was too racy even for Daniel Day-Lewis in the 1992 screen adaptation of this long-beloved novel. This novel was Grey’s attempt to piggyback on the success of Owen Wister’s The Virginian (often considered the first Western, The Virginian doesn’t make our list despite its significance because the book is, in this writer’s opinion anyway, bad). Riders of the Purple Sage was a massive hit and launched Grey’s writing career (he was a dentist at the time). Modern readers will find fascinating the construction of good and evil within the book. Here is a Western without Native American or Mexican bandits; the bad guys are Mormon patriarchs. The novel also offers surprising insights into American masculinity’s obsession with firearms. Our example of the classic Western. The 1950s are the heyday of Western readership, when writers like Louis L’Amour and others refined the genre for mass consumption. Elmore Leonard, who went on to become well known for his crime fiction, got his start in the genre—and used its tropes better than most. Hombre is a gripping tale that distills the genre to its bare form, and does so with Leonard’s keen ear for dialogue. Herein starts the rebellion against those Western tropes established in Mohicans and Purple Sage and used so entertainingly in Hombre. Portis’s masterly novel is constantly at play with the genre. Our narrator isn’t a big strong man but a woman in her middle years reflecting on her coming-of-age. The book’s hero, Rooster Cogburn, fits the type—gunslinger and killer with a hunger for justice—except he is also a tender-hearted buffoon with a drinking problem. The novel’s triumph isn’t its almost comedic plot but its salty, frontier parlance. The genre’s most endearing novel—if you read just one Western in your life, read this one. 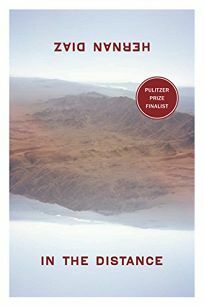 Winner of the Pulitzer Prize in 1986, McMurtry’s masterpiece takes the Western tropes and reconfigures them within the framework of an epic journey. Those of us who love this novel care not for its formal inventions; we cherish the people populating its pages. Another high pleasure is the novel’s pairing of comedy and tension; every chapter offers moments of out-loud laughter set against page-turning drama. McMurtry intended his book to undermine the frontier myths churning inside American identity, but the novel tends to be read as a joyous tribute to those frontier myths. The Western meets its realist due. Proulx’s “Wyoming stories” feature the types of characters that on the surface appear to be Western heroes but, upon deeper inspection, turn out to be thwarted and scarred human beings, most with few prospects. The highlight of this collection is the long story (turned film) “Brokeback Mountain,” which tells the story of two hard-riding cowboys and the love they keep hidden until it is too late. The funniest Western. Dewitt’s book rejects Proulx’s realism and the genre’s instance on sentimentality and heroics to deliver a darkly comic subversion of the Western. The book’s heroes would be, in another writer’s hands, the bad guys. But we find ourselves draw to them thanks to a voice that is dry, reflective, and downright addictive. 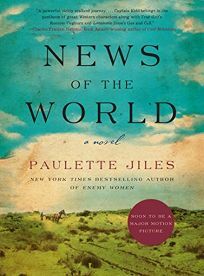 Finalist for the National Book Award in 2016, Jiles’s novel offers its readers a tender story of grandfatherly love set against the lawless frontier of Texas. Our protagonist is Captain Kidd, an elderly man who might have been a Louis L’Amour hero in an earlier age, but now is burdened by his estrangement from his adult children. When he finds himself charged with caring for a German girl who has been raised among the Kiowa, he discovers in himself new reserves of compassion and heroism. Here is a big-hearted Western for modern sensibilities. A finalist for the Pulitzer in 2018, this sibling story ditches realism for new frontiers on the intersection of myth and magic. Among other contemporary resonances, the novel offers insights into the experience of finding oneself radically outside the mainstream. Unlike most writers of Westerns, Diaz intentionally under-researched his novel’s setting to allow his creative instincts to build a world of almost allegorical significance. Here is a Western that expands the possibilities of the genre, and hints to a brighter, more nuanced, more intellectually-stirring future.